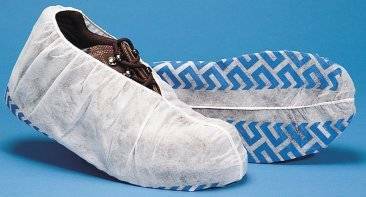 Polypropylene non skid shoe covers made of light weight breathable fabric. 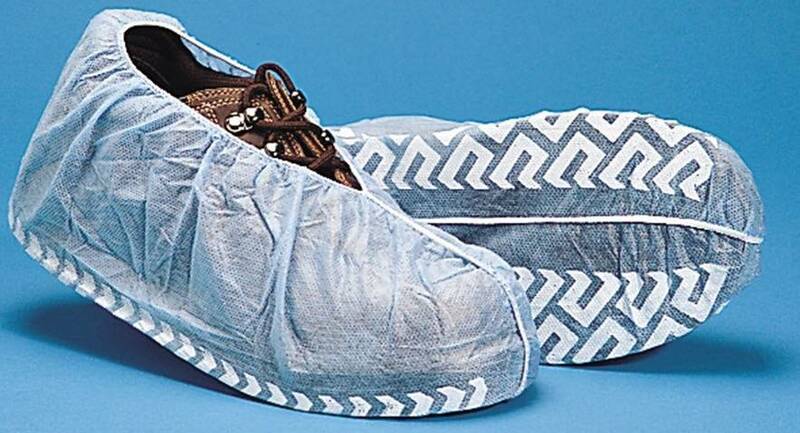 Protects workers against dry particulates, dirt and grime. 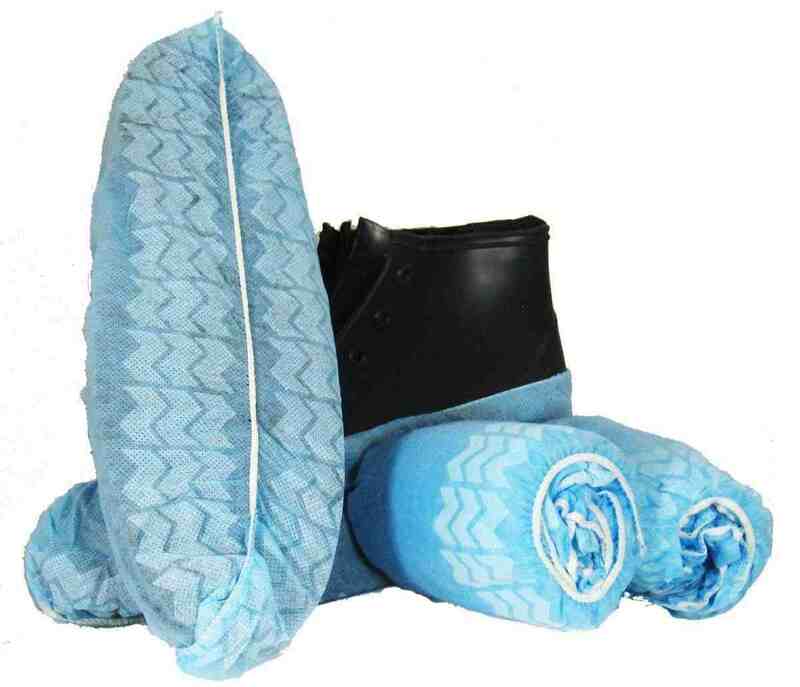 Blue with white non skid bottom , or white with blue non skid bottom. Non woven 100% spun bound polypropylene. Melting point is from 320-338 degrees Fahrenheit. This is above the decomposition temperature of polyethylene, silk, cotton and wool.